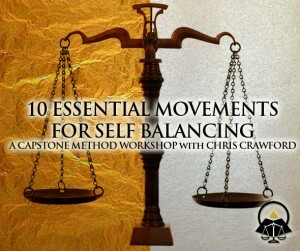 The 10 Essential Movements were designed for people without access bodyworkers or for those who just want to learn a routine for maintaining “structural” physical wellbeing. This kit was designed by Chris Crawford to offer a quick daily routine for busy individuals to achieve maximum benefits! By selling this series our clients might not have to come back into us as often but we’re willing to put it on the line to get this program out to the people who need it. Simple, powerful techniques included here! We hope you enjoy them and benefit thoroughly. This entry was posted on Friday, May 20th, 2011 at 8:58 pm. It is filed under 10 Essential Movements, Online Workshop Products and tagged with 10 Essential Movements, back pain exercises, back pain relief, back pain stretches, exercise for low back pain, relief for back pain, stretches for lower back pain, stretching for back pain, stretching video, The Ten Essentials, video. You can follow any responses to this entry through the RSS 2.0 feed.